The first time I saw the trailer for ‘Dream, Girl’ was nearly 2 years after the project had already been funded on Kickstarter. I was so bummed because I desperately wanted to be a part of this incredible vision to bring girls access to a film demonstrating it was more than possible to follow your dreams and make them happen. With head work, heart, and hustle you can create your own brilliant life. This is what I’d been teaching girls with my programming for almost 9 years, and also been working on myself. When these are all aligned you are on your path to living your best life. I decided at once it wasn’t too late and I wanted to bring this film to Minneapolis. I knew I didn’t want to do it alone. 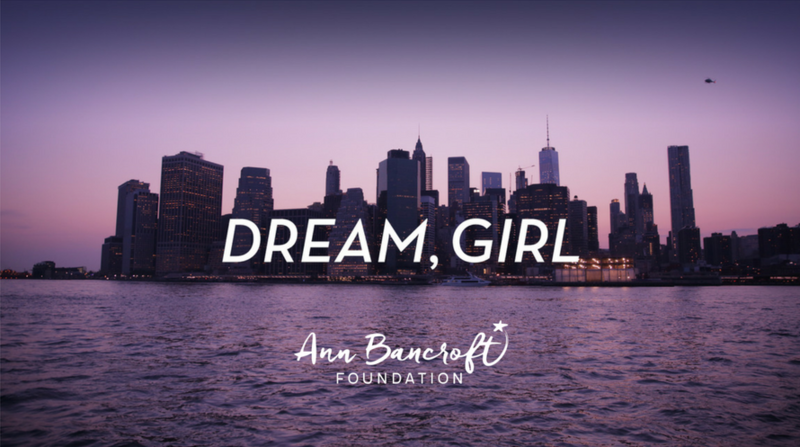 I experienced an amazing event with the Ann Bancroft Foundation and knew they would be the perfect partners to bring this vision to light. Since 1997, ABF has awarded grants totaling more than $1.4 million to over 4,000 Minnesota girls—connecting them to mentors, funding and encouragement to help them reach for their highest goals. Also, there are SO many girls who don’t know they can easily apply for these grants to help fund their dreams. We want this to change! Amalia Moreno-Damgaard, a nine-time award-winning author and chef-entrepreneur with a prior career in corporate America. Jamie Glover and Fatimah Hussein, the founders of ASIYA, a modest activewear brand striving to level the playing field for Muslim females everywhere. Isabel and Caroline Bercaw, teenage sisterpreneurs, and founders of DaBomb Bath Fizzers. We’ll also have an awesome market place of female focused businesses so you can shop, support, and be inspired at the same time! This event couldn’t be more needed and special. For where we are in the world. It’s time to step forward and recognize the meaning and significance of all, regardless of gender. And we need this moment to really celebrate the feminine and understand she’s capable of bringing us back into balance. Join us on Saturday and celebrate women’s equality and capability. But mostly join us on Saturday to celebrate the brilliance of humanity and how much each and every person brings to this world when they offer the deepest parts of their brain, heart, and body to impacting change in the world.